There was nothing especially artful about An Inconvenient Truth. 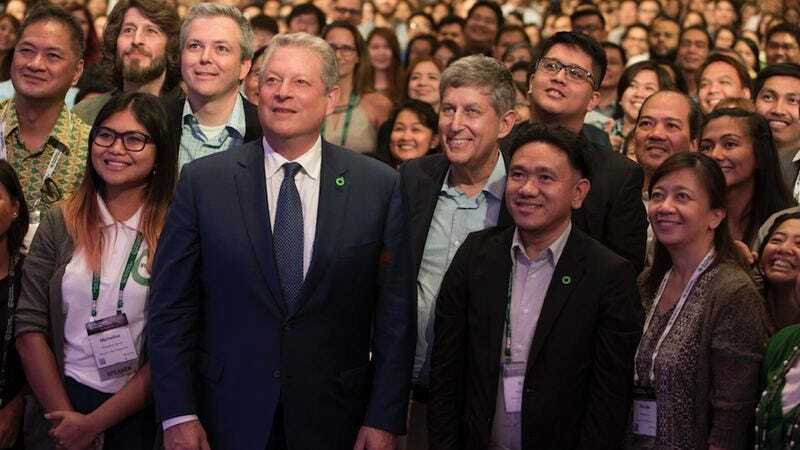 Less a movie than a glorified PowerPoint presentation, it offered only the sight of Al Gore, our former vice president, standing on a stage and explaining—through diagrams and photographs and unsexy science—the sobering reality of global warming. What the Oscar-winning documentary lacked in panache, however, it made up for in educational value; there’s evidence to suggest that An Inconvenient Truth has greatly raised awareness, reshaping the public’s understanding of our ongoing environmental crisis. Eleven years later, Gore has spearheaded a follow-up, designed to get everyone up to date on that crisis. But while An Inconvenient Sequel: Truth To Power is certainly more cinematic than its predecessor—its directors haven’t just filmed a seminar this time—it’s also inherently less useful, because the focus has pivoted away from the alarming statistics to the man delivering them. They’ve chased a valuable science lesson with something that comes closer, occasionally, to a celebrity profile. Replacing Davis Guggenheim in the director’s chair, filmmakers Bonni Cohen and Jon Shenk (Audrie & Daisy) break free of the lecture-hall format by following Gore on a kind of whirlwind world voyage. (If the original offered a dryly academic version of your typical one-venue concert doc, the sequel is more like one of those life-on-the-road tour diaries.) Throughout An Inconvenient Sequel, we see the self-described “reformed politician” visit rapidly melting glaciers, train loyal disciples on how to better lead the charge and spread the message, and cross party lines to meet with eco-conscious world leaders, including a GOP mayor. There are new sections to the famous slideshow, still regularly presented and periodically updated to reflect a deluge of disturbing new data. But the footage of natural disasters from the last few years—hurricanes, floods, melting asphalt—offers much more immediate, compelling evidence than charts and graphics. Which is to say, rather perversely, that Gore’s awareness campaign benefits from some of his fears being realized. Another irony: Gore now looks much more like a savvy, inspirational politician than he ever did when he was actually in politics. Once lambasted for his supposed dullness as a public speaker, he’s become the charismatic face of the clean-energy movement—and, certainly, an anchor of personality for An Inconvenient Sequel. Gore leans heavily on his congenial Southern charm, telling anecdotes about his family, meeting criticism with unflappably polite logic, and only really unleashing his anger on stage, where his bellowing frustration toward those ignoring the clear warning signs of global warming can affect the target audience of prospective activists. He’s an agreeable subject, but An Inconvenient Sequel flirts with hagiography in constantly revisiting his achievements; there is too much reiteration of An Inconvenient Truth’s success, too many scenes of Gore basking in the adoration of those he’s inspired. The man has certainly earned his hosannas, but did they require a feature-length showcase? By conflating environmental triumphs with the vindication of this tireless advocate, the film risks coming across like a victory lap—or worse, a vanity project. An Inconvenient Sequel does get a boost of dramatic interest in its final stretch, when Gore heads off to Paris for the 2015 climate summit, where he helps broker a deal to get India—a holdout on any agreement that would take coal power off the table—on board with the historic clean-energy initiative. It’s a rousing climax to this chapter in his ongoing planet-protection campaign. Or it would be, if the filmmakers weren’t forced to acknowledge, via a tacked-on epilogue, a crushing, late-breaking setback: the election of a vocal climate denier to the White House, as well as his recent decision to pull the United States out of the Paris Agreement. No film advocating for an active response to global warming could be called a waste of time, and no encouragement to be hopeful and get involved should be dismissed. 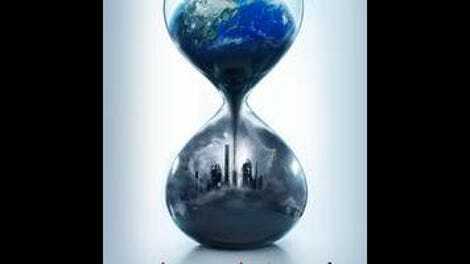 But An Inconvenient Sequel’s whole inspirational framework seems shaped around the realities of a pre-November 9 world, to the point where its outlook now seems sadly outdated, what with a powerful new enemy to the cause threatening to undue all the progress Gore has made and the film celebrates. Talk about an inconvenient truth.